Ron Raether leads the Cybersecurity, Information Governance and Privacy practice and is a partner in the Financial Services Litigation practice group at Troutman Sanders. Ron is known as the interpreter between businesses and information technology, and has assisted companies in navigating federal and state privacy laws for over twenty years. Ron's understanding of technology led him to be involved in legal issues that cross normal law firm boundaries, including experience with data security, data privacy, patent, antitrust, and licensing and contracts. This experience allows Ron to bring a fresh and creative perspective to data compliance issues with the knowledge and historical perspective of an industry veteran. Ron’s involvement in seminal data compliance and data use cases has helped define current standards in several areas of the law. He assisted one of the first companies required to provide notice of a data breach and has since successfully defended companies in over 100 class actions. 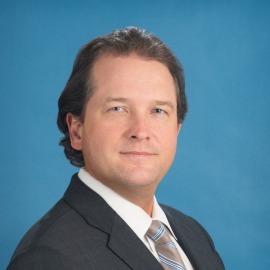 Ron represents clients in a broad range of technology and data privacy matters including data aggregation and analytics, mobile applications, de-identification/anonymization, including correlating data from multiple connected devices, “connected-things (IoT),” electronic crash- and consumer-reporting systems, and payment technologies. Ron also advises on pre- and post-incident compliance concerns ranging from the development of incident response plans and workflows, guiding clients through immediate forensic investigations, coordinating initial crisis management, which includes navigating clients through the maze of state and federal notification requirements, addressing post-incident aftermath, and responding to regulatory inquiries. Balancing privacy, cyber security and business functionality, Ron’s approach to data governance is uniquely designed with the industry in mind as it adapts to the ever-evolving technological and legal landscape.